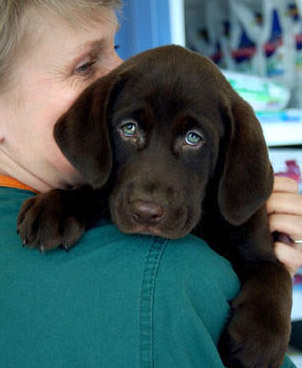 At South Fork Animal Hospital, the focus of our attention is on prevention and wellness. 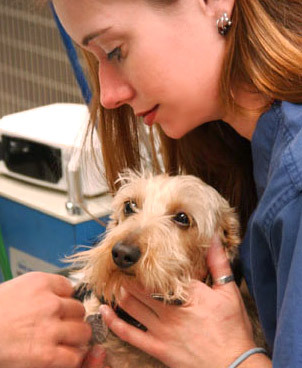 Our veterinarians use a personalized approach to high-quality pet care based on your pet's lifestyle. From the first visit, your pet is evaluated in terms of daily routines, life stage and risk factors. 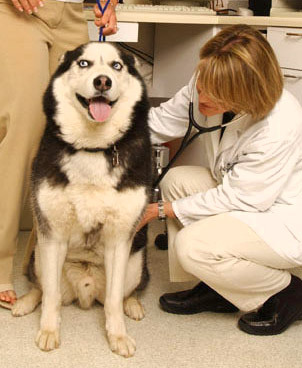 Your pet should receive a veterinary wellness exam at least once a year. Senior pets should be examined every six months. Annual or semi-annual wellness examinations for your pet at our animal hospital are your veterinarian's chance to assess your pet's overall health, discuss any changes, educate and update you on advancements in medical care, and for you to discuss any concerns or questions. During each examination, your veterinarian takes the time to listen to your concerns, answer your questions, and give you all the information you need to be the best caregiver to your pet. We also spend time discussing your pet's medical history, nutritional needs, behavior and exercise routine. 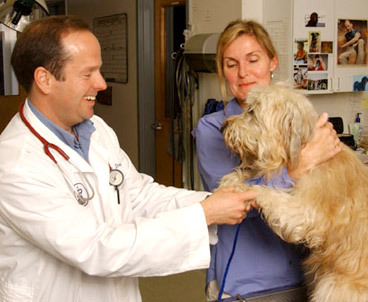 Good communication between you and your pet's doctor ensures your beloved companion is receiving the optimal care and attention needed to live a long, healthy life. At home, watch for subtle changes in your pet's body weight, appetite, water intake, urination and bowel habits, general attitude and activity level. Should your pet exhibit any changes or signs of potential illness, please don't wait. Call our office right away for an appointment. Vaccinations are the number one way you can protect your beloved pet from serious infectious diseases and bacteria. However, not every pet requires the same series or frequency of vaccines. Your veterinarian will assist you in deciding which preventive measures are necessary for your pet, then tailor a vaccine protocol to your pet based on his or her breed, age, lifestyle and recommendations from the American Veterinary Medical Association. Your pet's vaccine schedule is balanced to provide needed protection while not over-vaccinating. Please contact us for more information about our customized vaccination protocols and why they are best for your pet. Bringing a puppy or kitten home is a very exciting time for you and your family. Your veterinarian and medical team at South Fork Animal Hospital share your joy and are here to support you with individualized puppy and kitten wellness programs, vaccinations and home care guidance. Physical Examinations: Your puppy's or kitten's lifetime of wellness starts with a comprehensive nose-to-tail physical exam. Puppies and kittens should have 3-4 exams between the ages of 8-16 weeks. These longer visits are important because they provide your veterinarian with an opportunity to assess your pet's overall health and to administer vaccines. Extended Discussion: Do you have questions about nutrition, training, vaccinations, spaying or neutering, grooming, or parasite protection? What about tips for introducing your new pet to other pets and family members? We take plenty of time during these visits to offer health care and training advice, and talk with you about any concerns you may have. Puppy and kitten visits are an excellent way to get your new pet started on the road to a happy and healthy life. Let's take these important first steps together. Please call today to schedule an appointment for your new pet! This semi-annual visit includes a routine physical examination, gives you an opportunity to discuss concerns regarding your pet's age, and may include specialized lab work to detect the early signs of disease processes. Your veterinarian tailors these exams and tests to your pet's age, breed, lifestyle and physical condition to best meet his or her health needs. Because a mature pet's condition can change significantly in a short time, we recommend families bring in their senior pets approximately every 6 months. Unfortunately, dental disease is all too common in pets, especially older pets, and it represents a significant systemic health risk. Because bacteria in the mouth can enter the bloodstream and be passed to other organs, periodontal disease has been found to have associations with kidney, liver, lung, and heart disease. Additionally, pets in oral distress will often have difficulty or discomfort when eating. South Fork Animal Hospital recommends regular dental exams and cleanings for all pets, but especially those in their senior years. During the months of January, February and March, all dental examinations and cleanings are discounted 15%. There is also an important role for you to play as your pet's primary caregiver. While you cannot control age-related decline, you can influence your pet's activity level, living conditions, access to quality senior veterinary care, and daily nutrition. If your older pet's eyesight is impaired, avoid relocating furniture and changing his or her surroundings. Try not to drastically change your pet's daily routine. Any changes associated with eating, drinking or elimination should be noted and discussed with your veterinarian, as these may be manifestations of disease. Discuss your pet's diet. Many treats are high in sodium or fat; therefore, it is important to talk to your veterinarian about the source(s) of your pet's daily calories. The best time to begin your pet's senior care program and recognize the need for a little extra TLC is well before age related conditions begin to set in. Together, we can make sure you and your faithful companion enjoy many more happy, healthy years together. Prevalent tick-borne diseases in South Fork include Lyme Disease, Anaplasmosis and Ehrlichiosis, which can be significant threats to you and your dog, especially during the warmer months of the year. Ticks and tick eggs live in the grass and weeds. Check and brush your dog after being outside, especially in grassy or brushy areas. If a tick is attached to your dog's skin, remove it carefully with tweezers and wash the affected bite area and your hands afterward. Fleas are most abundant during the warm weather; however, if left untreated, they can be a problem year-round. In fact, flea infestation is one of the most common medical problems veterinarians see. Your pet can be allergic to fleas, and even just one bite can result in a severely painful skin infection. Fleas can also transmit serious diseases such as bartonellosis (the bacteria that causes cat scratch disease in people), and parasites like tapeworms. The best course of action to protect both your pet and yourself from fleas, ticks and the potential of tick-borne disease is prevention. There are many safe, effective oral and topical flea and tick control products available at South Fork Animal Hospital. Your veterinarian can help you choose the correct preventive regimen based on your pet's risk factors and health status. Heartworm disease is a serious, life-threatening disease transmitted by mosquitoes. It affects dogs and, to a lesser extent, cats. Today, Heartworm disease is found almost everywhere in the continental United States. Clinical symptoms of Heartworm disease develop very slowly. Early symptoms include lack of energy, exercise intolerance, coughing and difficulty breathing. Because Heartworm disease is increasing in frequency and is a serious and deadly disease, we recommend your dog be tested annually. Fortunately, Heartworm disease prevention is simple and effective. If you would like to find out more information on how best to protect your pet from this dangerous parasite or if you'd like to have your pet tested for Heartworm disease, please call South Fork Animal Hospital today for an appointment. We also offer optimum wellness care programs for rabbits and guinea pigs. Since it is often difficult to determine if these smaller pets are ill, we strongly recommend physical examinations twice a year to check for health problems plus annual monitoring to check for nutritional and husbandry-related conditions. To survive attacks from their predators, rabbits and guinea pigs normally conceal their illnesses in the wild. As a result, their medical problems often go unnoticed for long periods of time. By the time you recognize there is a problem, the condition is often extremely serious. 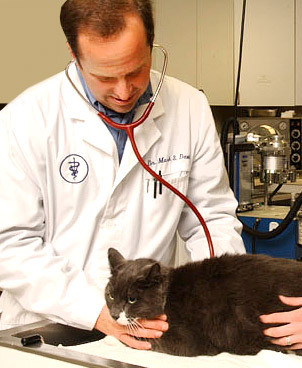 With bi-annual medical examinations by your veterinarian at South Fork Animal Hospital, problems are often diagnosed before they become serious medical conditions. After acquiring your new rabbit or guinea pig, a complete wellness appointment is strongly recommended. This exam includes a thorough physical examination, husbandry and nutritional consultation, disease screening and laboratory testing if necessary. Before bringing your pet into your home, you want to make sure he or she is healthy. For more information on all the ways the veterinary team at South Fork Animal Hospital can help you take good care of your pet, please call our office today!